Grant Cardone is an international sales expert, business innovator, motivational speaker, and New York Times bestselling author. His books include If You’re Not First, You’re Last, Sell or Be Sold, and The 10X Rule. His latest book, Be Obsessed or Be Average, is due for release later this month. 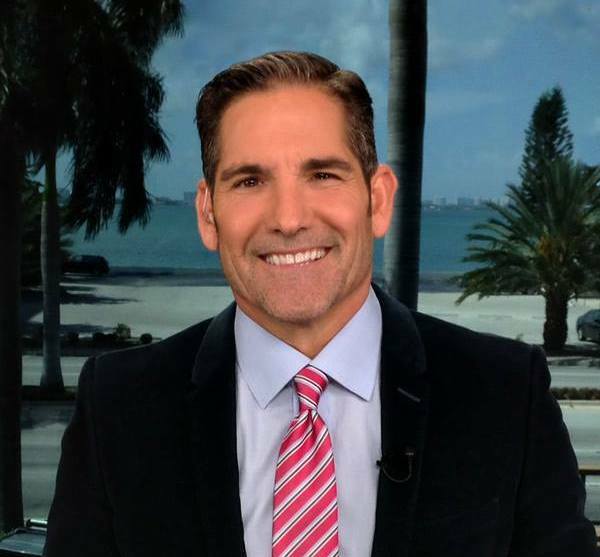 Grant is the creator of the Grant Cardone Sales Training University as well as his own television network through which he produces “Whatever It Takes,” a series that challenges job seekers to see if they make the cut to join his company, and “Cardone Zone,” where he offers business, career, and financial advice. Early to Rise caught up with Grant to talk about what inspires his TV shows and other endeavors, and the routines and principles he follows for success. What inspired you to get involved in the sales side of business, and subsequently to start writing? I got into sales decades ago after I graduated college with an accounting degree but couldn’t find much work, so I landed a sales job instead. I sucked at it until the age of 25 when I finally committed to it and became a true professional. I wrote sales training material for my own company but didn’t officially write my first book for the masses until 2008, Sell to Survive, which later became Sell or Be Sold. I knew my material needed to get out to more people. “Turnaround King” was a TV show where I wanted to demonstrate that I could sell anything to anybody, anywhere, and that even the worst performing businesses could be turned successful if they just implement the right sales techniques. Everything in life is a sale and everything you get is a commission. “Whatever it Takes” is a motto that I hold and was the original name of GrantCardoneTV. More people need to be willing to do whatever it takes to make their dreams come true. You detail what it took to close deals with television executives in The 10X Rule. What have been some of the biggest takeaways or lessons from those endeavors? It takes a lot of work to get a TV show. The lesson is that you have to be sold on something more than anyone else. If you aren’t sold on it, it’s not going to happen. The world isn’t going to come and make your dreams come true. What tenet of The 10X Rule do you get the most feedback on or do you believe resonates the most with people? We all can relate to the four levels of action that the book talks about. They are: doing nothing, retreat, normal, and massive action. We all, at different times, have experienced these four stages. The book is popular because people relate to it, they know it’s true, and there is a solution to their problems. It’s not an easy solution — taking massive action — but it’s better than any alternative. The truth is, it takes more work staying poor for a lifetime than getting rich once. Are you currently working on any books? I just finished Be Obsessed or Be Average. This book is epic. You’ve said the principles of selling can be applied to all aspects of life. How so? I wouldn’t have Elena as my wife if I didn’t know how to sell myself. I called her twice a month for 13 months before getting a date. Having been in sales for a number of years, I knew the difference between complaints and objections. There is a difference between creative persistence and stalking. Elena will tell you she never felt threatened by my pursuit. I kept it light and sweet. I never creepily stood outside her house, and never made her feel wrong for not calling me back. But I stayed persistent and sold her on letting me take her out on a date. It was a sale, though no money was exchanged. Of all of the books you’ve written, what is the best business/strategy tip you’ve given people? The Closer’s Survival Guide is packed with specific closes and word tracks you can use to close the deal. It’s great, GREAT material that will jack your income up if you learn them, practice them, and use them. How do you maintain or find new inspiration? I have purpose. Without purpose, it’s just a job. I’m not into just punching a time clock. I have a reason for working. My advice for anyone out there in need of inspiration: find your purpose. Do you have a formula for success? Stay positive. You will not be successful if you are a negative person. Have a no-negativity-allowed policy because those around you can drag you down with their negativity. What’s one rule that guides your life? I take responsibility for everything that happens in life. Nothing happens to me, I cause things. If a hurricane hits and my home has no power, that’s not the weather’s fault — that’s my fault for not having a generator. Take responsibility for EVERYTHING in life. When you give up responsibility, you give up control. Then you are just a victim. I like to see the sun pop up. In fact, I like to beat it. I’d encourage everyone reading this to be the first one up in your neighborhood. Do you have any daily routines that keep you grounded? I like consistency. I wake up, work out, eat healthy, go to work. The more consistency you can have in life, the more productive you’ll be. Don’t just wing it. How do you prioritize your most important tasks? It’s pointless in my view to worry about time management and balance. I’m not interested in balance. I am interested in abundance in every area. I don’t want to sacrifice one in favor of another. Everyone’s priorities are different. But if success is a goal, then I would suggest you spend most of your time doing things that will create success. Don’t spend so much time creating to-do lists — just start taking action. What have been the most important contributors to your success? When I was 25 I invested in myself with a sales training program. I’ve learned many things since, but that initial commitment, that decision to better myself, was what propelled me to where I am today. I’ve had many mentors. That doesn’t mean I sit with them in person over coffee. I can be mentored by someone through one of their books. I’ve been mentored by Warren Buffett, Mark Cuban, Napoleon Hill, and many more. What’s the most valuable advice you’ve received that contributed to your personal or professional success? What would you say to someone who’s struggling and questioning whether or not to keep going forward with his or her business or entrepreneurial pursuit? If you believe in your product or service— I mean truly believe in it, then you will stick with it. You have to learn sales skills no matter how much belief you have, but that’s where it starts. You don’t have to be an entrepreneur to get rich, by the way. Get a job at the right company and invest wisely — not everyone needs to have a startup. Is there one book you’d recommend people read that’s inspired you personally? Napoleon Hill’s Think and Grow Rich.